Designed as a surreal ‘film noir of commonness’ for modern times, the short movie (directed by Rem Koolhaas’s AMO) continues the idea of fashion as a cinema. 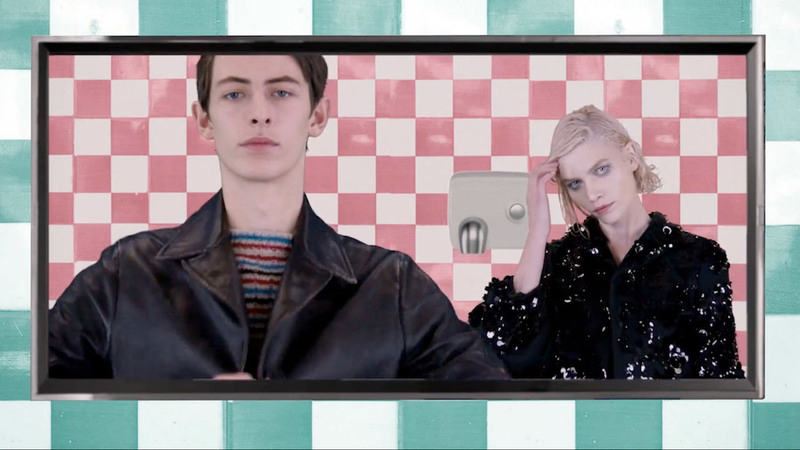 For the short film head designer Miuccia Prada re-explores the stories of normal men and women, brought together as an animated puzzle of recognizable daily elements in a distorted graphic universe. The video is nothing short of amazing as it contains so many retro beauty, yet, also has a strong urban vibe, which fits the aesthetic of both the men and woman’s collection perfectly. In my opinion, the tradition of the “Real Fantasies” is only getting better throughout the years. See the new collection below.